OmegaCAM is a successor to ESO’s celebrated Wide Field Imager (WFI), currently installed at the MPG/ESO 2.2-metre telescope on La Silla. 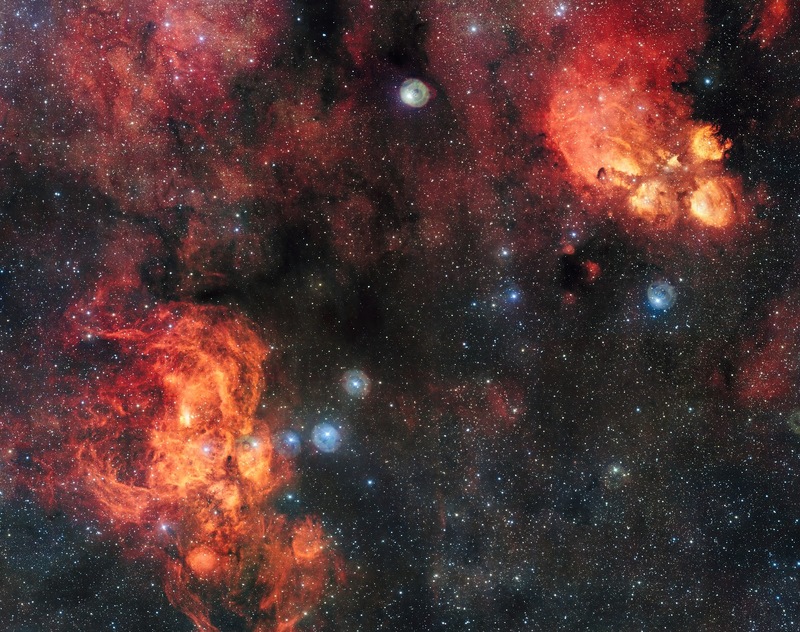 The WFI was used to photograph the Cat’s Paw Nebula in 2010, also in visible light but with a filter that allowed the glow of hydrogen to shine through more clearly. Meanwhile, ESO’s Very Large Telescope has taken a deep look into the Lobster Nebula, capturing the many hot, bright stars that influence the object’s colour and shape.